Here is an early piece of Maryland history. 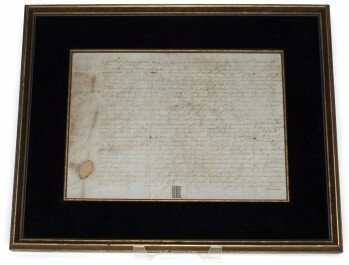 This document is signed by Charles Calvert, who was the 14th Proprietary Governor of Maryland. 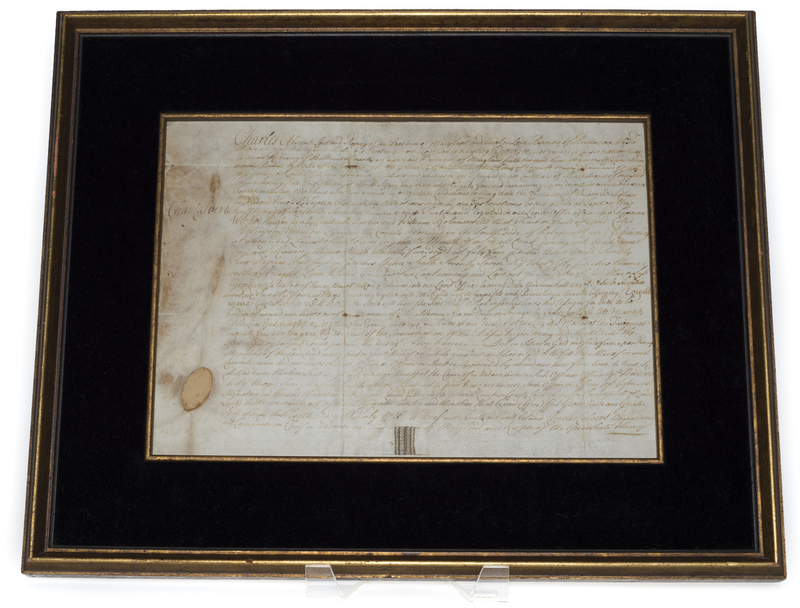 The text of the document grants 12 acres of land near the Patapsco River to William Robinson. This piece is already framed and estimated very conservatively considering its age and desirability.